13. 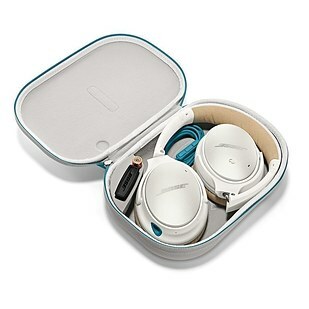 The Bose QuietComfort 25 ($299) are the best noise-cancelling headphones you can buy, in terms of sound and comfort. Trying to get some rest? Noise cancelling devices are a must. 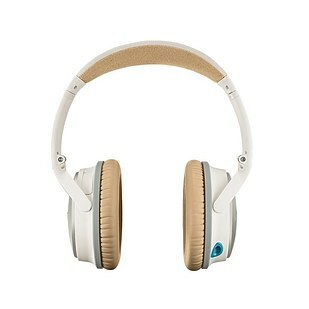 This pair has been extremely well-reviewed by Audiophiles and Gadget Fiends alike. Bose’s noise-cancelling technology is perhaps the best in the industry. Most importantly, it’s light (.43 pounds) and can be collapsed into the included carrying case for easy travel. They’re powered by a single AAA battery, which will need to be replaced after 35 hours of use. You can still listen to music with a wired connection after the battery runs out, but you won’t be able to turn on noise cancelling. Get it on Amazon – and make sure you select the right model for your device (iOS/Apple or Android/Samsung).